Everyone who has been involved in social media marketing even a little bit, knows it can be a time consuming task. Nevertheless, there is no way around a presence on social media for companies these days. So we have to embrace the tools that can help us. Social media management tools exist to make social media marketing easier. They help businesses us save time and handle the entire process more efficiently. With a social media management tool there is no need for logging in to all your different accounts separately to post something. You can connect all of them to the tool. Then you simply log in, create your post, choose the accounts it should go out to and post it. Voilà, it really is that simple. Social media management tools always include some kind of editorial calendar to schedule your posts. While the internet and social media is always on, you don’t have to be. Social media scheduling allows you to plan and schedule posts ahead, for weekends for example. Some tools offer options like creating a queue of posts, where you only have to choose posting frequency and platform and the tool will then post automatically for you. Personally, I am not a big fan of fully automated posts and prefer to schedule them individually. Anyway, scheduling is a huge advantage of social media management tools. As you have all posts in your editorial calendar, you can easily keep an overview of your posting times, frequency and potential gaps over all social media platforms. Know when your followers like, share or comment on your posts. 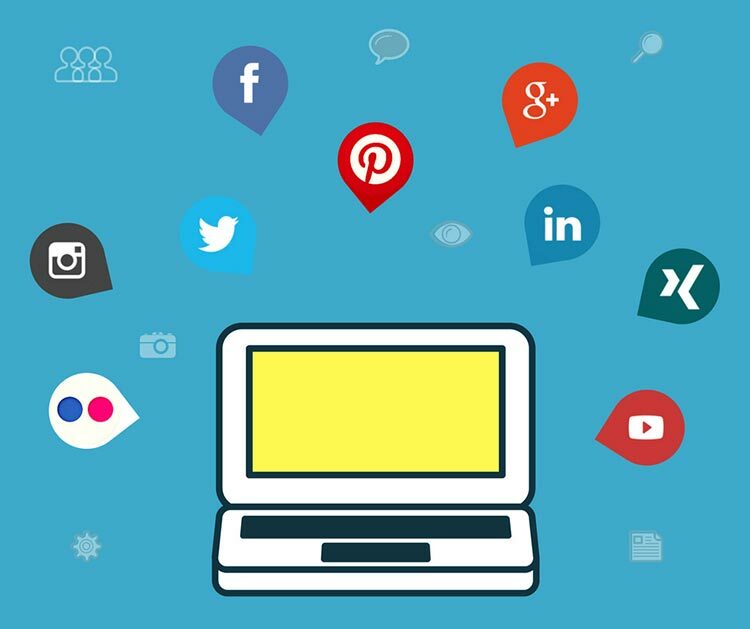 A social media management tool allows you to keep track of your social engagement very easily without switching between several platforms. You can react to comments immediately, see accumulated engagement for all platforms or filter it by platform or post. Most tools allow you to manage your social media in teams. Meaning you have the possibility to create teams, add members and plan and execute your social media marketing in a collaborative way. Members can be attributed different roles. For example, an editor might be responsible for creating posts, while the administrator might approve them before being published. The workflow of managing social media with your team becomes really easy with a social media management tool. No matter, if it is just you and your colleague in the team or 20 more team members. I am sure you know how time consuming it can be to search for relevant industry related content that you can share or use as inspiration for your own content. There are certain tools that can help with content creation. Feedly, for example, helps you find content for various topics and keywords. Some social media management tools also offer such options. For example, Buffer has browser extensions, so that you can add articles you are reading directly to Buffer and share them. Analysing social media performance is often not a priority for small businesses. Especially not, if they have to login to all their accounts separately to find out how their overall performance was. However, as you might be trying to build your social media presence, there is no other way of improving than looking at how your previous posts performed. You have to analyse why a post got lots of or no engagement at all. It could depend on the type of content you post, the time you posted it, the hashtags you used and so on. Social media management tools simplify this process enormously. You can see the engagement you got on all your posts from all accounts on one single platform. It helps you save time and become better at your social media planning and execution. Even as a small business with limited resources you don’t have to fear the costs of such tools. There are several low-cost tools out there that offer great value for money.